A program in the College of Pharmacy and Nutrition that provides free prescription assessments for patients recently took top honours at a national competition in Toronto. The Medication Assessment Centre (MAC) received the Patient Care Enhancement Award from the Canadian Society of Hospital Pharmacists (CSHP) on January 31. 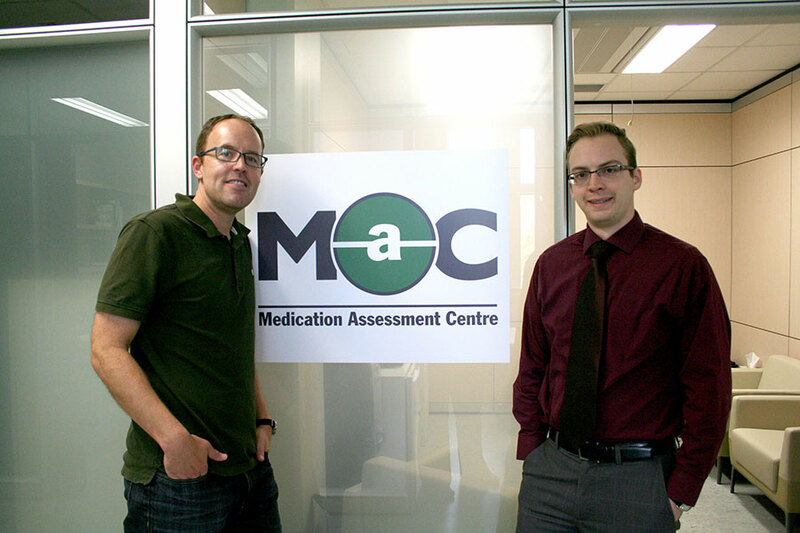 MAC received the award based on their submission which highlighted how the centre provides easy access for patients to medication assessments, while helping both healthcare professionals and students learn more about medication therapy. MAC provides medication assessments by a licensed pharmacist. The pharmacist will meet with a patient to review the medications they are on and their aliments, while also covering topics such as medication side effects and quality of life. The pharmacist will make recommendations to adjust the patient's medications, and provide a report back to the patient's physician, which details the adjustments. "We've had very positive feedback from the healthcare community," said Derek Jorgenson, MAC director. "In a recent survey, 97 per cent of physicians reported that our recommendations were helpful." Medication assessments are also provided under the Saskatchewan Medication Assessment Program through community pharmacies, but the MAC pharmacists specialize in complex cases that may not be appropriate for a community pharmacy setting. MAC also provides medication assessments for people covered under the federal health system, such as First Nations people. Read more on the College of Pharmacy and Nutrition website.